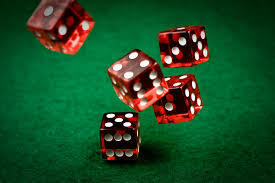 Companies that fail to pay their outside sales representatives commissions are rolling the dice and face stiff sanctions under the Illinois Sales Representative Act, 820 ILCS 120/1 et seq. (“ISRA“), including payment of attorneys’ fees and prejudgment interest. A recent Illinois case highlights the power of the ISRA. In the case of Stern Ingredients, Inc. v. Lawrence Foods, Inc., 2017 IL App (1st) 143417-U, the Illinois Appellate Court in March 2017 upheld a trial judgment for the plaintiff, Stern Industrial Inc. (“Stern”), an industrial food broker, against defendant Lawrence Foods, Inc. (“Lawrence”), an industrial food manufacturer. Stern claimed that Lawrence breached the parties’ written contract when it failed to pay the commissions for the brokerage services Stern performed. The trial court agreed that Stern was owed $91,977.50 in commisions. Plus — and here is where the hammer comes down hard — the trial court also awarded $26,031.10 in prejudgment interest and a whopping $89,320.20 in attorney’s fees. In fact, the attorney’s fee provision in Section 3 of the ISRA is mandatory, and no finding of bad faith is required. Nicor Energy v. Dillon, No. 03 C 1169, 2004 U.S. Dist. LEXIS 86 (N.D. Ill. Jan. 7, 2004); Maher & Assocs. v. Quality Cabinets, 267 Ill. App. 3d 69 (Ill. App. Ct. 2d Dist. 1994); Staebell v. L’amour Hosiery, Inc., No. 98 C 50167, 2002 U.S. Dist. LEXIS 11030 (N.D. Ill. June 18, 2002) (salesperson did not need to show that the corporation’s conduct was willful or wanton in order to recover the salesperson’s attorney’s fees and costs). The trial lawyers at DeBlasio & Gower LLC have the experience you need to address commission claims in court, including the Circuit Court of Cook County, the DuPage County Circuit Court in Wheaton and the Will County Circuit Court in Joliet. Strategically located with offices in Chicago and Oak Brook, we are located near the major circuit courts and major highways and interstates. Call us at (630) 560.1123. www.DGLLC.net.